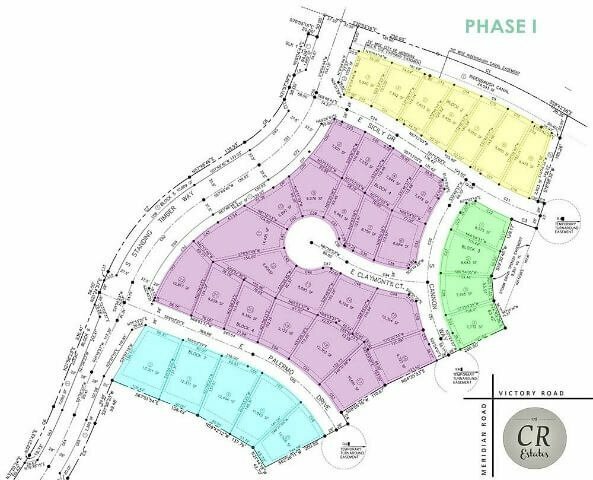 The Caven Ridge Estates subdivision is a new home community in Southeast Meridian, Idaho. Conveniently located at the crossroads of Victory Road and Meridian Road, providing easy access to the Interstate and incredible views of the Boise Foothills. Browse all new homes in Meridian or view our complete guide to new Meridian subdivisions. From S Eagle Road, head West on E Victory Road Turn left on S Standing Timber Ave to the Caven Ridge Estates subdivision. Looking for the best Meridian neighborhood to call home? We can help, contact us online or call (208) 391-4466 and see for yourself what hundreds of happy Meridian real estate owners already know.